Sensational eye and exposure. Dig the color tones here. 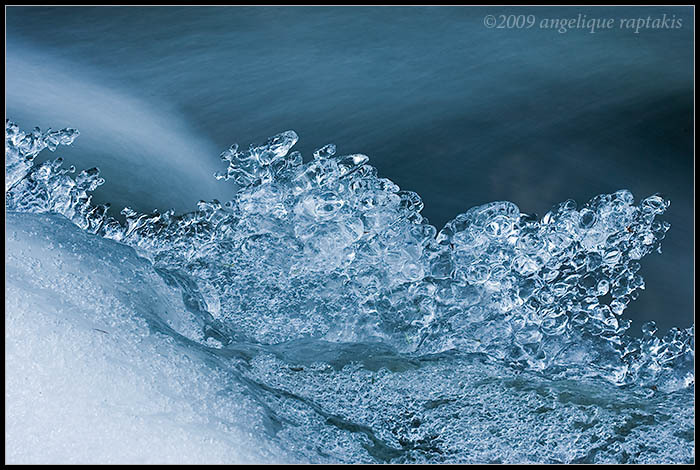 Like a frozen wave. Delightful little shapes and patterns in there. An incredibly beautiful shot, Angelique! Makes a wonderful abstract. Well done. Now that is cold. Great picture.